MSI Prepares 870A Fuzion Power Edition Motherboard with Lucid Hydra Chip. MSI is orking on a new AM3 Motherboard which features the same specs as its previous 870A Fuzion Motherboard, The MSI 870A Fuzion Power Edition. The new motherboard is equipped with a AMD 770 chip on the northbridge and a SB850 chipset on the Southbridge. The New Motherboard comes with the Lucid Hydra LT22102 chip which allows you to pair any Nvidia/ATI Card with each other in ATI+ATI, NVIDIA+NVIDIA, and ATI+NVIDIA configurations. 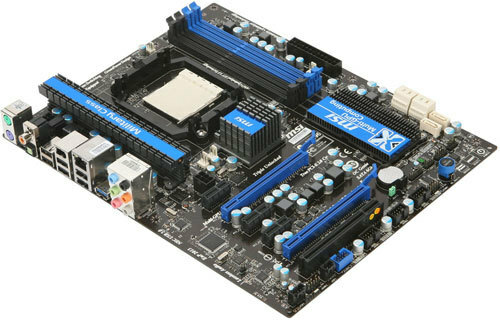 Other than this the Motherboard also comes with an upgraded 10+1 Phase CPU VRM and High -C Capacitors. Expansion slots of the motherboard include two PCI-Express 2.0 x16 with full x16 Bandwidth on both, three PCI-E x1, and one PCI. 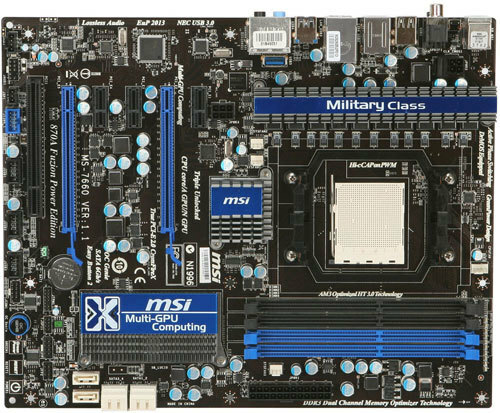 The Motherboard comes with 4 DDR3 DIMM slots for Dual Channel operation. The connectivity features include 8-channel HD audio with optical and coaxial SPDIF connectors, USB 3.0, gigabit Ethernet, FireWire, and a couple of USB 2.0 ports. The SB850 Southbridge also provides six internal Sata 6Gbps Ports. The price of the board is expected around 170EUR which will be 45EUR more than the original 870A Fuzion Motherboard.